As more and more people become increasingly conscious of the environment and rising fuel costs, many motorists are turning towards fuel efficient and Eco-friendly vehicles to lessen their impact on the planet and their wallets. For some time, fuel efficient hybrid cars were small and boxy, and weren’t very accommodating for long distance trips. A lot of people also feared (and some still do) that a car with an electric motor would stop running if it wasn’t plugged in every certain number of hours, which was never really the case. As technology has progressed, hybrid electric cars have pretty much been perfected, some of them out performing traditional combustion engine vehicles as far as road legal vehicles are concerned. Newbie automaker Tesla Motors, a company that manufactures hybrid electric vehicles specifically, has seen significant jumps in their stock since 2012. Their goal is to bring the technology to a point where hybrid electric vehicles are just as affordable to the working man as a Dodge Neon. Until then, even the low end hybrid vehicles are a little pricey, and high end models clip $1.5 million. Let’s take a look at 14 of the most expensive high-end hybrid electric vehicles. Lets Look at the 10 Expensive Hybrid Electric Cars. 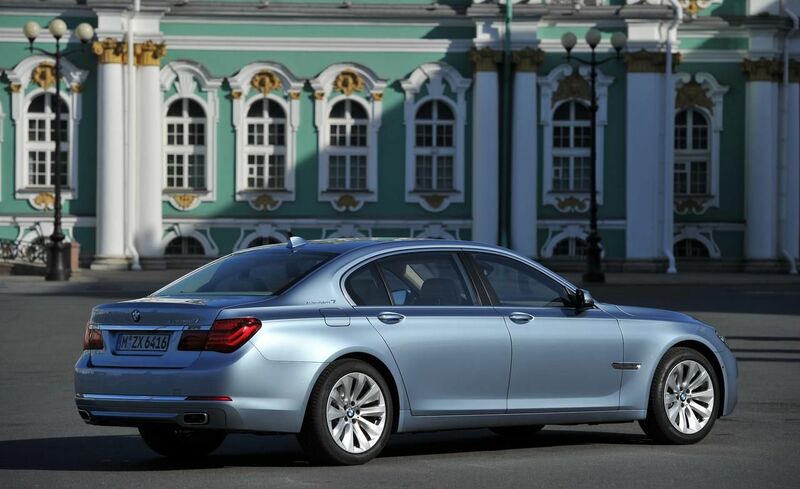 This later model 7 Series Hybrid from BMW is the largest luxury full-size Sedan offered by BMW. Most of its specs and its price point are the same as the earlier model except this one can save more on gas with a diesel engine option and the additional option of six, eight, or twelve cylinder engines. It also boasts an updated iDrive infotainment system that allows the driver to use the entertainment functions without taking their eyes off the road. The 2015 model has also changed body-types, going for a more elegant design. This sedan from the relatively new Tesla Motors is a great vehicle, along with the roadster, for the growing company to showcase as they compete with the established motor companies. The vehicle gets 94 MPG in the city and 97 MPG on the highway and boasts 416 horsepower. This performance version of the model S also comes with a high performance drive inverter, a carbon fiber spoiler, stylish Tesla Red brake calipers, an 85 kWh battery, and an Alcantara headliner. The plug-in hybrid version of one of the most popular luxury sedans has a 3.0L V6 engine as well as an electric motor. The V6 boasts 329 horsepower while the electric engine has 107 horses. The vehicle gets 78 MPG and electronic systems help the car make a decision on when to switch between the two engines. At the beginning of concept, Mercedes actually considered making every vehicle in the S-Series a hybrid. Many have wondered why a company like Porsche even makes a hybrid vehicle since their claim to fame is “driver’s cars” and not your typically slow but efficient hybrid vehicles. The reason behind the hybrid powertrain is there are very strict environmental regulations regarding emissions in Europe. The Panamera Hybrid doesn’t boast much in the way of increased mileage, but is the cleanest Porsche on the market in terms of carbon dioxide emissions. The Porsche Panamera E-Hybrid for 2015 is similar to the 2013 model, but the e-motor boosts the total horsepower up to 416 horses and gives the vehicle a combined rating of 52 MPG. The electric motor is responsible for 95 of those horses, which is double that of previous models. The vehicle can even travel for 15 miles on the electric engine alone. 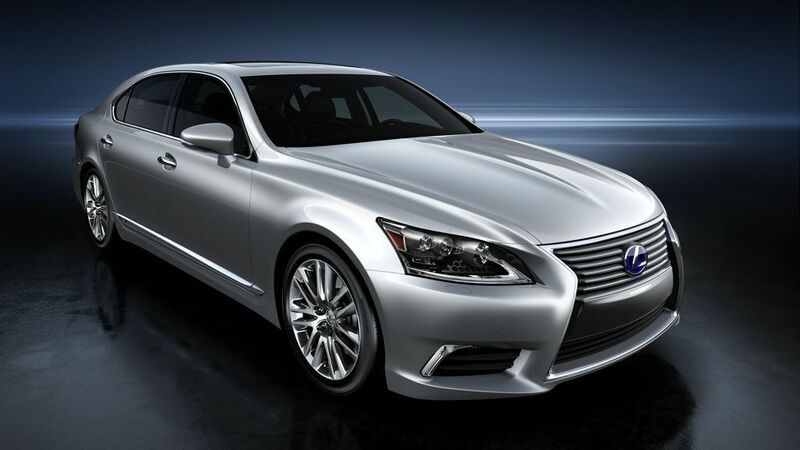 At launch the LS Hybrid was the first prestige luxury all-wheel-drive V8 engine hybrid. It’s a clean and efficient vehicle but only has a combined EPA rating of 20 MPG. It does offer some cool luxury features such as a touch screen that offers the driver an array of mobile apps including, Yelp, Facebook Places, iHeart Radio, Pandora, and Bing. All can be voice actuated (for safety) with the exception of Facebook Places and Yelp. This hybrid sports car is easily one of the coolest on the market as it’s not only efficient but looks like something out of a Bond film. Up until this point most of the vehicles on this list have a very similar look despite the make, model, or year. It gets a combined EPA rating of 76 MPG, gets 228 horsepower from its combustion engine, and another 129 horses from the electric engine. In addition to having an efficient engine, the interior of the vehicle is made from renewable materials. Not only is the 918 Spyder an efficient supercar, but this plug-in hybrid did one of the best 0 -60 MPH times for any vehicle ever. It packs an impressive 887 horsepower and received a full 5-star rating from Car and Driver. When using the electronic and combustion systems together, the car can get around 60 miles out of a gallon of gasoline. Let’s also not forget the fact that it seems the more these hybrids increase in price, the more unique they begin to look. The unfortunate thing about the McLaren P1 is the fact that it’s unavailable unless you know someone who doesn’t want it anymore. There were only 375 made and all of them have an owner. The car boasts a 727 horsepower V8 engine coupled with a 177 horsepower electric motor. The 324-cell lithium-ion high density battery can be plugged-in for a charge or can be charged by the engine, and gains a full charge in just two hours. 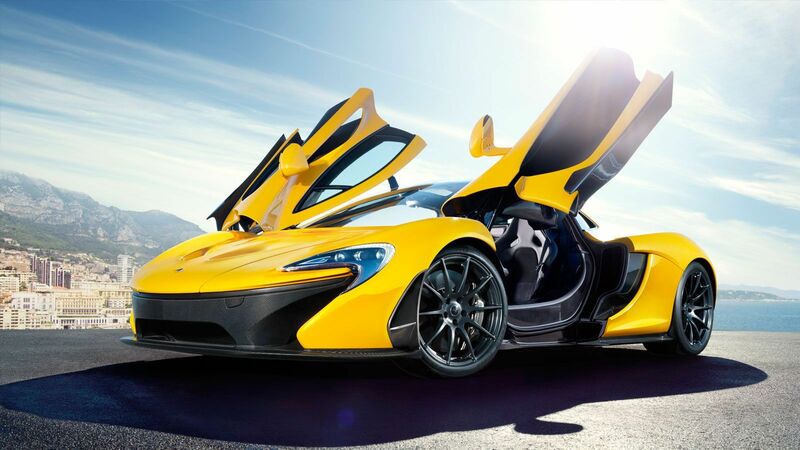 Other high-end features of the McLaren P1 are hydro-pneumatic suspension, electro-hydraulically assisted steering, and the forever cool scissor doors. Laferrari is one of the most powerful cars Ferrari has put on the roads hybrid or not, and has decreased fuel consumption by 40%. The vehicle even lapped their test course in under 1 minute and 20 seconds, which was the fastest time achieved by any road legal car Ferrari produced.In addition to a 6.3L V12 engine and an electric motor, the car also has a Kinetic Energy Recovery System. This means the car can store the kinetic energy from braking and use it later for acceleration.